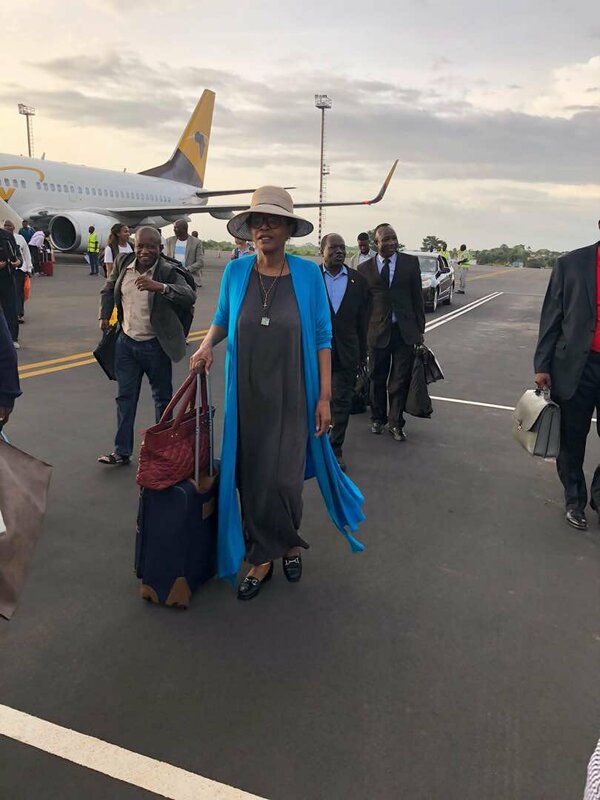 Bissau, 28 July 2018: In line with its mandate to promote and enhance peace and security in the continent, the African Union (AU) Peace and Security Council (PSC) undertook a field mission to the Republic of Guinea Bissau from 27 to 28 July 2018. The mission took place in the framework of the implementation of various decisions of the Council on the situation in Guinea Bissau, as well as within context of the implementation of the Conakry Agreement of the October 2016 and the 2016 Bissau Roadmap aimed at bringing the political crisis in Guinea Bissau to an end. 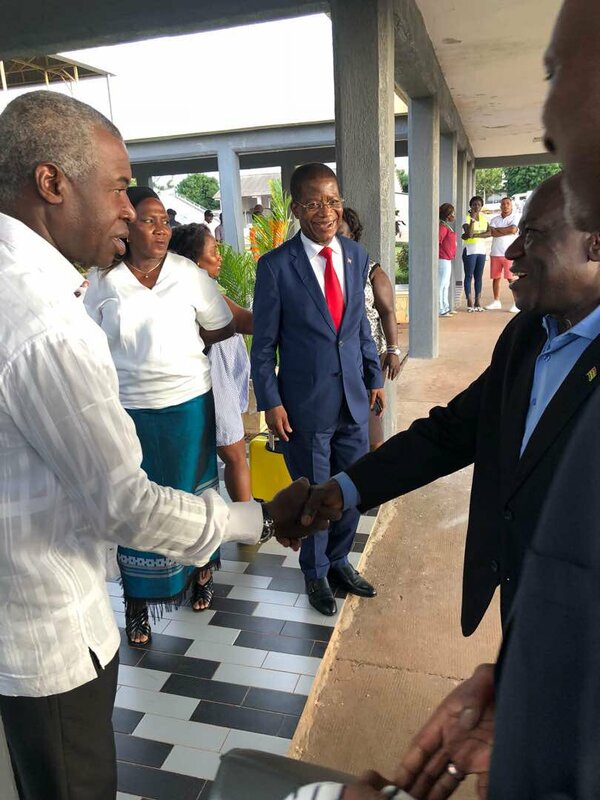 The mission was also undertaken with a view to express support and solidarity to the preparation by the Guinea Bissau authorities of the upcoming legislative elections scheduled to take place on 18 November 2018. The PSC Delegation strongly urged all political parties and all the other stakeholders to uphold their commitments to the on-going peace process by making necessary sacrifices, allow for full participation in resolving political differences, and to ensure that the planned elections scheduled for 18 November 2018 take place in a free, fair and credible manner, which will allow for the consolidation of Government institutions and create conducive conditions for reforms, including the necessary constitutional review for-the long term stabilization of the country. 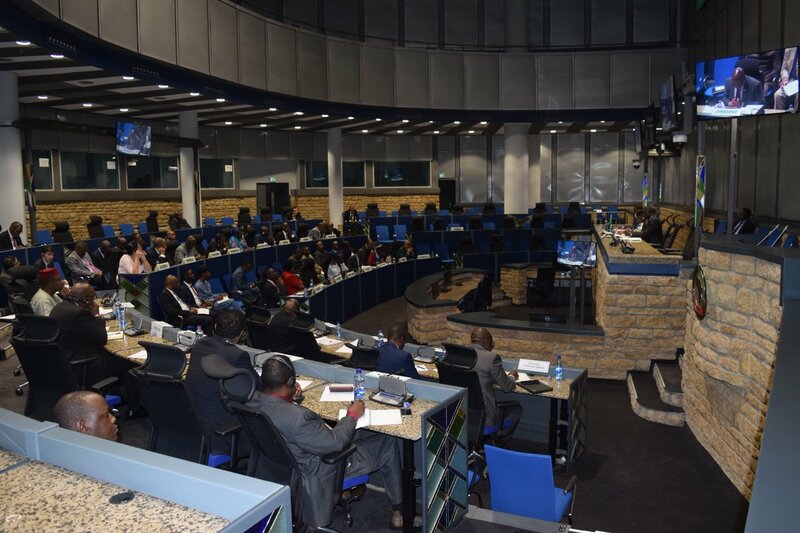 The PSC delegation comprising fifteen Member States namely, Angola, Congo, Djibouti, Egypt, Equatorial Guinea, Gabon, Kenya, Liberia, Morocco, Nigeria, Rwanda, Sierra Leone, Togo, Zambia and Zimbabwe. The Delegation was led by His Excellency, Sebade TOBA, Ambassador/Permanent Representative of the Republic of Togo to the African Union, who is the Chairperson of the PSC for the month of July 2018. During the mission, the delegation paid a courtesy call to the President of the Republic, H.E Jose Mário Vaz and the President of the Supreme Court, Honourable Justice Paulo Sanha. The PSC held consultations with the President of the People’s National Assembly, the Minister of State of the Presidency of the Council of the Ministers accompanied by Minister of Interior, Minister of Ex-Combatant, President of National Electoral Commission, Deputy Chief of General Staff and other senior officials from the defence and security forces, as well as other Government institutions. 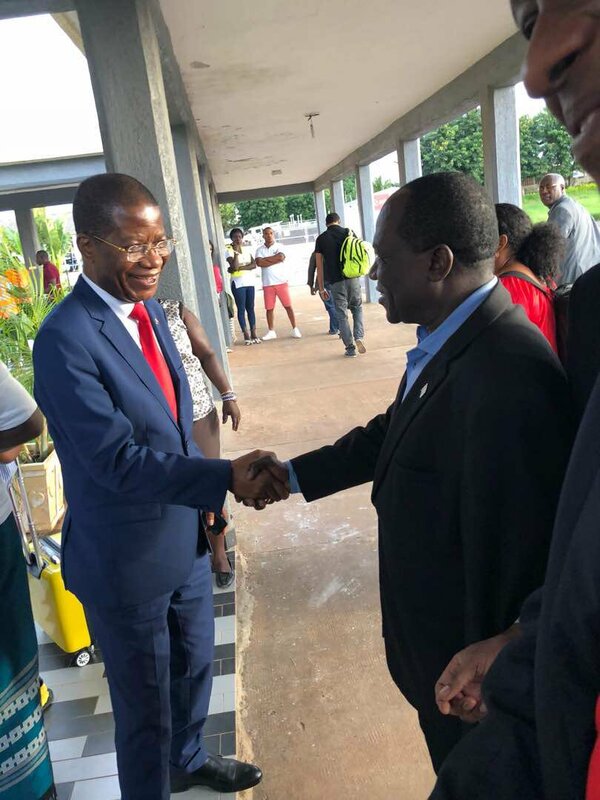 The Delegation also held meetings with the group of the five international organizations supporting peace process in Guinea Bissau, namely, the AU, UN, ECOWAS, UN and the CPLP (P5), the leaders of the Political Parties with seats in the parliament namely, the PAIGC and PRS, as well as those with no seats in the parliament. The delegation also met with the representatives of the civil society organizations, leaders of faith-based organizations, as well as the representatives of women and youth. During the meeting, the PSC Delegation supported the request of women and youth to be empowered to fully participate in the political activities in the country. The PSC delegation took the opportunity of its various interactions to express AU’s support to the on-going political peace efforts led by ECOWAS and the mediation process led by H.E. President Alpha Conde of the Republic of Guinea. The PSC delegation assured all stakeholders of AU’s readiness and determination to spare no efforts in supporting Bissau Guinean to overcome the challenges they are currently facing while preparing for the legislative elections on 18 November 2018 and the presidential elections in May 2019 in furtherance of the implementation of the Conakry Agreement. In this regard, the PSC Delegation stressed the important role of the P5 in coordinating the efforts deployed by the international community in support to the organization of the elections.in this respect, the PSC Delegation looked forward for the outcome of the ECOWAS Summit scheduled to take place on 31 July 2018 in Lome, Togo, on the situation in Guinea Bissau. The PSC delegation commended the Government of Guinea Bissau for the efforts deployed so far in the implementation of the Conakry Agreement namely, appointment of a consensual Prime Minister on 16 April 2018 and the setting of a date, 18 November 2018 for the legislative elections. The PSC Delegation further commended all multilateral and bilateral partners for their contribution and financial pledges for the organization of the elections and called on all AU member States and the larger international community to extend the necessary logistical and financial support to Guinea Bissau in this crucial phase of its democratic construction. The PSC took note of the challenges regarding timelines, procurement logistics facing the voters registration process and called on the authorities to speedily address these challenges in order to ensure timely voters registration which will provide an opportunity to all Bissau Guineans to vote in exercising of their constitutional right. The PSC Delegation welcomed the efforts deployed by the Bissau Guinean stakeholders in developing a Stability Pact which will create trust among different political actors and guarantee stability in the post electoral phase. The PSC Delegation further took note of the different views and positions expressed by different interlocutors with regard to the sanctions imposed by ECOWAS against the nineteen (19) personalities and encouraged all actors to continue working together towards the full implementation of the Conakry Agreement, through the holding of peaceful, free and fair elections on 18 November. The PSC delegation appealed to all stakeholders, to uphold the collective interest and wellbeing of the people of Guinea Bissau over all other considerations, and encouraged all stakeholders to resolve their political differences through mediation and reconciliation, in good faith, as well as with high sense of responsibility. The PSC delegation reiterated the AU’s appreciation to ECOWAS, CPLP, UN and EU, as well as neighbouring countries and the international partners for their relentless efforts to help restore sustainable peace, security and stability that will create conducive conditions for socio-economic development activities for the people of Guinea Bissau. 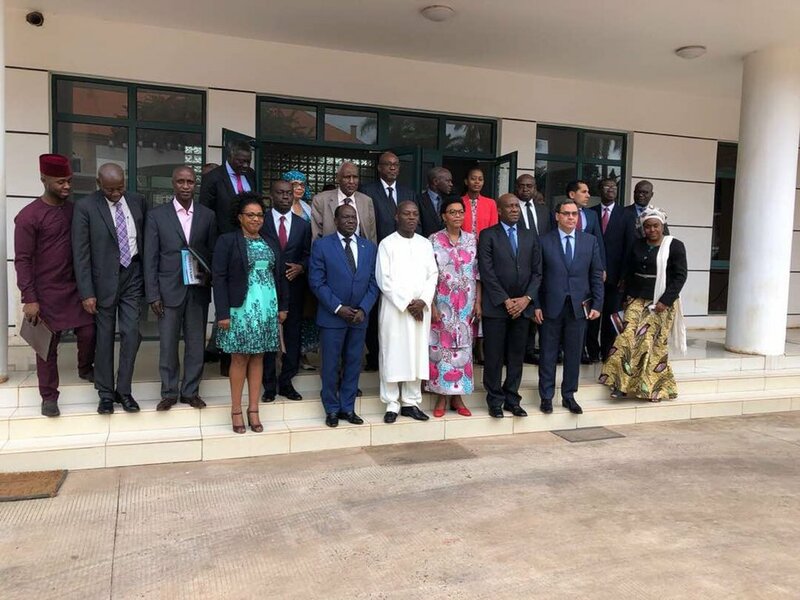 The PSC delegation expressed its appreciation to the people and the Government of the Republic of Guinea Bissau, the UN and other stakeholders for facilitating its Field Mission, and to the AU Special Representative of Chairperson of the Commission and the Head of the AU Liaison Office in Bissau and staff for the valuable support. 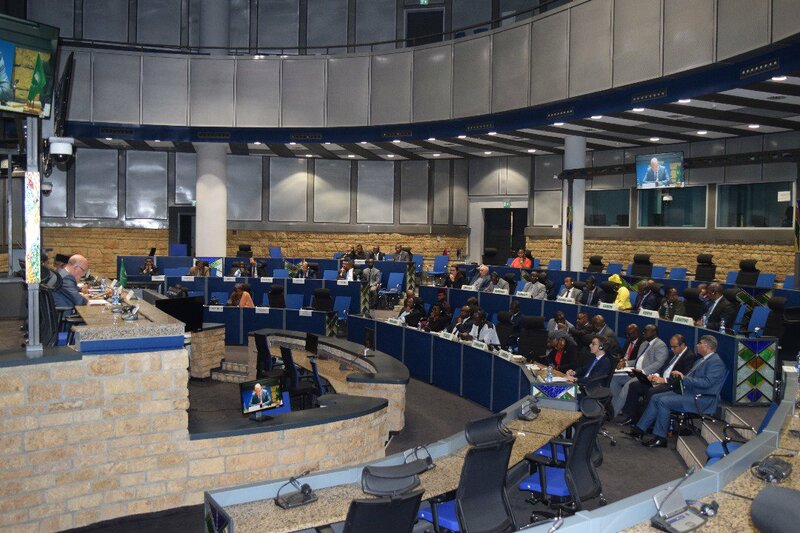 The Council will issue a formal Report on the outcome of its Mission to Guinea Bissau soon upon its return to Addis Ababa, Ethiopia.